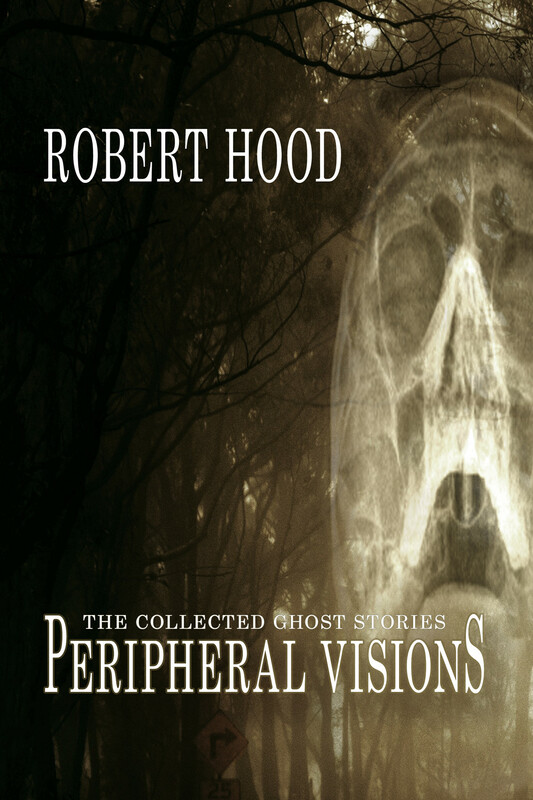 We have just mailed out ‘Wave 2’ of the Limited Edition of Robert Hood’s Peripheral Visions: The Collected Ghost Stories. Wave 3 will be starting soon, but we still have 14 copies left that can be mailed virtually immediately – so if you are interested in buying a copy, there’s no better opportunity than now! 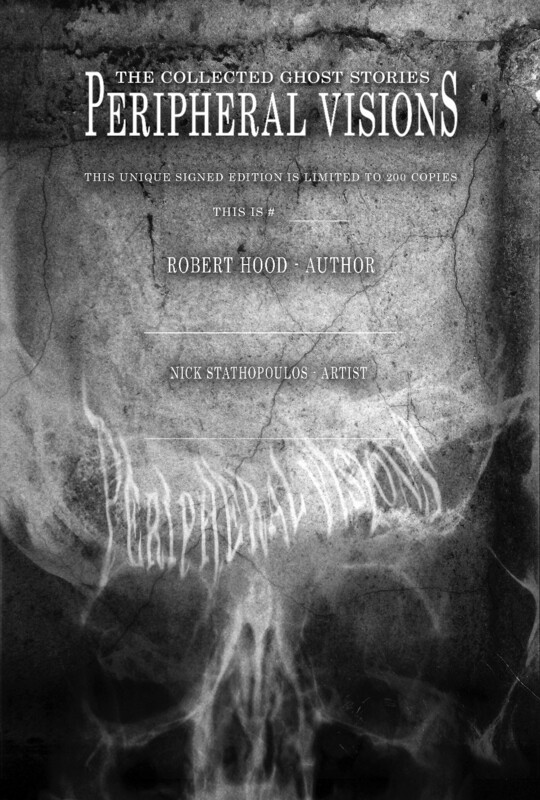 A Cloth Bound version of Peripheral Visions: The Collected Ghost Stories, containing 8 magnificent illustrations by Nick Stathopoulos, including a signature page, autographed by Robert Hood and Nick. This is a limited edition – only 200 will ever be produced. The signature page will be sequence-numbered. A chap-ebook will be emailed to you, containing 6 hard-to-get zombie stories by Robert, titled Haunted Flesh: Stories of the Living Dead. Along with Peripheral Visions, you will also get a bonus, signed paperback, Backstreets, a 309 page novel by Robert Hood. All you have to do is click here, and it can be yours! (Non-Australian residents can purchase it by clicking here). We have the signature pages at the printers, which will soon be sent to Robert Hood and Nick Stathopoulos for their signatures. We have ordered the first wave of limited edition cloth bound books, ready for the inserts at the bindery. While running a little late, we are getting there, and with a bit of luck we will be sending the Limited Edition books in a few weeks. It’s worth the wait. We will give you updates closer to the time. Along with special bonus elements, we have also drawn the winning limited edition purchaser, who will be receiving the very special signed copies of the Shades quadrilogy. Congratulations to Michelle Goldsmith! You will receive your books in the same package with Peripheral Visions and Backstreets. After we send the first wave of pre-ordered book packs (including emailing the bonus ebook), we will keep this offer going until we have sold 200 copies. We will soon determine the second wave of mail outs.